Managing your home office will be so much easier with a do-it-all peripheral like this Epson Stylus NX510 All-in-One Color Inkjet Printer! Efficient and intuitive, this glossy black Stylus printer sports a 2.5-inch tilt LCD screen and large top-panel control buttons for easy operation and PC-free printing. Since it comes with built-in 802.11g wireless LAN and integrated Fast Ethernet, you can easily print, scan and access the memory card slots from within your network, as well. Photo printing couldn’t be easier with a front access PictBridge port allowing you to print images directly from your digital camera. Black and color print and copy speeds clock in at 35 ppm, with a maximum print resolution of 5760 x 1440 dpi. The Instant-Dry ink will produce smudge, fade and water-resistant prints that are sure to please. In addition, you can instantly reduce and enlarge copies from 25 to 400%, and even scan documents directly into your Inbox. The flatbed scanner has an impressive maximum resolution of 2400 dpi. This Stylus NX510 comes with a four-color standard ink set, so you can start printing directly out of the box. The included software CD also lets you create fun projects. What more do need? All your bases are covered with thisEpson Stylus NX510 All-in-One Color Inkjet Printer. 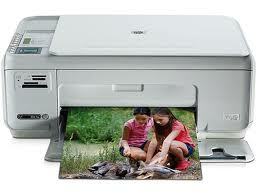 All-in-one: Printer, Scanner, Copier, and Photo Printer! Some applications/functions, like two-sided printing, may not be supported by Mac.